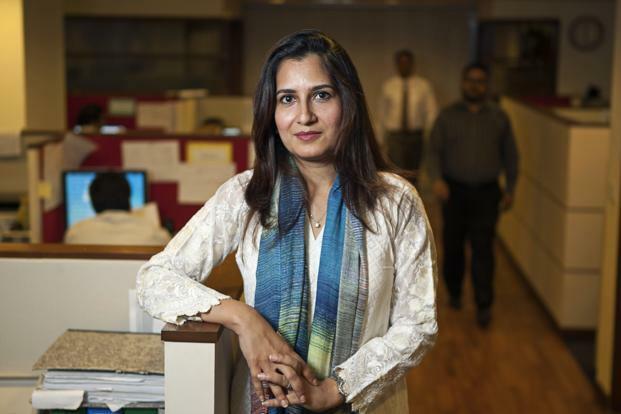 She turned around a loss making IGI Funds into a company that returned 443 percent gains in total returns to clients, now working as the CEO of Alfalah GHP Investment Management, Maheen Rahman is a 39 year old bright faced, yet unsmiling, mother of three Maheen Rahman. Her lack of a smile is a deliberate move and is done in order to maintain distance from her colleagues in the male dominated field as well as assert her position as a serious mind. But that’s the thing, she shouldn’t have to prove herself by her demeanor. The numbers speak for themselves. The company, Alfalah GHP Investment Management, that Rahman leads, is one of the most successful companies in Pakistan with more than $180 million in stocks and bonds. There will be an estimated 40 percent gain in client assets, this year alone. Before becoming the CEO of her current company, Rahman was leading IGI Funds which was a loss making company when she took charge. It was her hard work, business acumen and determination that resulted in her successfully leading the company in a stock market worth $71 billion. Rahman is the only female, and youngest, CEO among 22 asset management companies in Pakistan. Even within her own company she is among the grand total of six women who make up 1/8th of the total workforce at Alfalah GHP Investment Management. This lack of women in the workforce has always meant that Rahman has always had to take “more than usual” measures to be taken seriously and appear like a serious person to her male peers. And that means having to compromise on her home life at times. As a mother of three Rahman has even had times when she was stuck in meetings instead of being at home when her children were sick. But thanks to a very supportive family and her untiring ability to never let the circumstances pull her down, she has not only survived in this cutthroat field for so long, she has thrived. Maheen Rahman is among the thousands of women in Pakistan who are expected to work the same number of hours as the men in the field yet, on average, they earn about 37 percent less than the men doing the same jobs. Even Rahman, who comes from a financially secure family background and has been educated at the top institutions in Pakistan and abroad, has to maintain a wall of carefulness when interacting with male colleagues. She has said that people still say to her that she should rather design clothes than bothering with a field that has virtually no women. But this does not let her down at all. She is not slowing down in her work and has been receiving accolades from the world as well. She was recently named by Fortune Magazine as the ’40 Under 40′ women to watch. Maheen is leading Pakistani women by shattering the glass ceilings that present themselves for women at every step of their way.